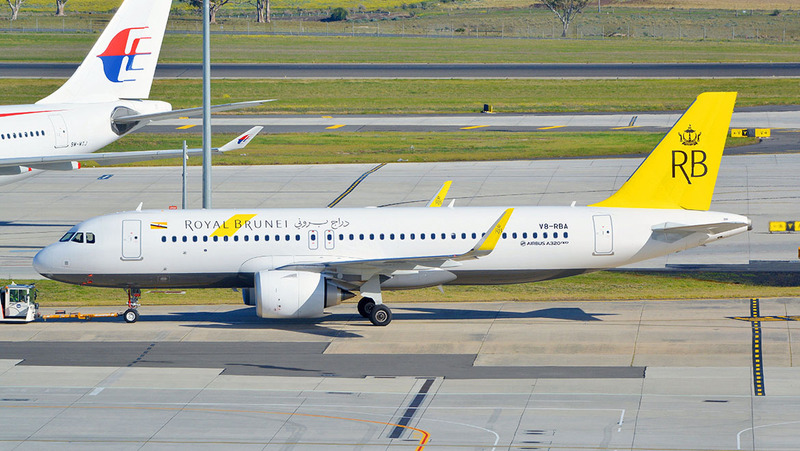 Royal Brunei Airlines (RBA) has become the first operator of the Airbus A320neo into Australia after engine inspection requirements for its Boeing 787 fleet led to an equipment downgauge. 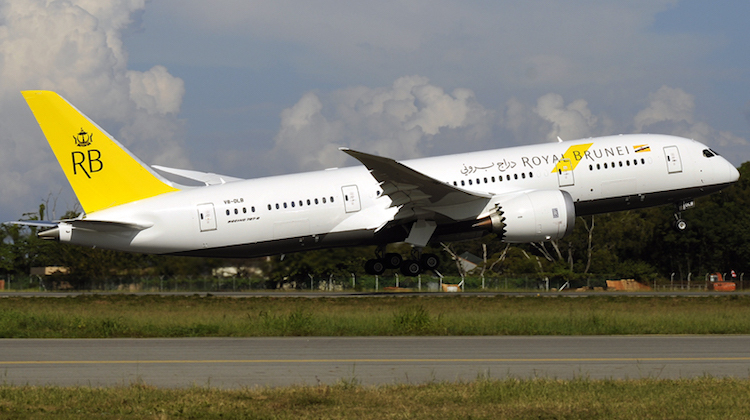 RBA has substituted the next generation narrowbody in place of the 787 for two Bandar Seri Begawan-Melbourne-Bandar Seri Begawan rotations in recent weeks. 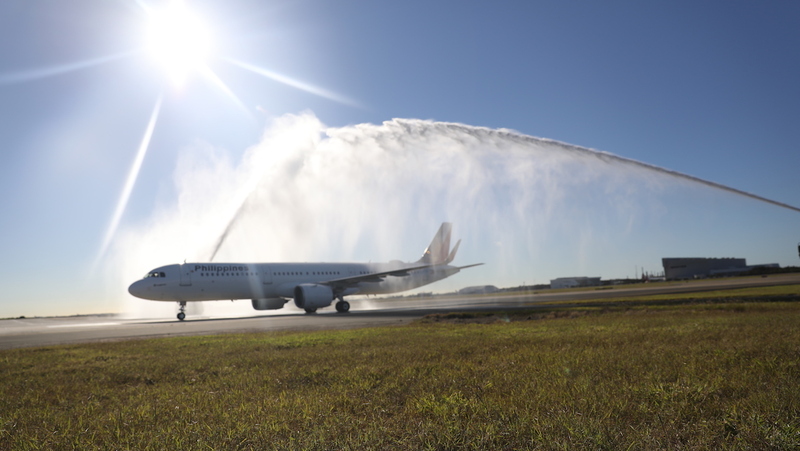 The first flight with the A320neo arrived on August 1 2018, when BI53 operated by V8-RBA landed at Melbourne Tullamarine at about 1800 local time, following its seven-hour journey from Bandar Seri Begawan. The second occasion took place on August 11 2018, when V8-RBD was used on the BI53/54 rotation. The five Boeing 787-8s in the RBA fleet are used primarily to serve Melbourne and London Heathrow (via Dubai) from the airline’s Bandar Seri Begawan hub. Other destinations RBA flies to with the 787 included Jeddah, Hong Kong and Singapore (some are seasonal), as well as religious pilgrimage flights to Saudi Arabia. The aircraft are configured with 254 seats comprising 18 in business and 236 in economy. RBA country manager for Australia Giles Gilbert told Australian Aviation on Monday the use of the A320neo on the Melbourne route was due to engine borescope inspections and testing on the 787-8’s Trent 1000 engines. Gilbert said A320neo, which RBA has configured with 12 business, 18 extra-legroom economy and 120 economy seats for a total of 150 seats, was able to operate with a full load of passengers and luggage in both directions between Melbourne and Bandar Seri Begawan. However, there was some restrictions on the amount of cargo the flight could carry, depending on the wind and weather conditions on the day. Gilbert said there were no further A320neo flights to Melbourne expected in the period ahead. Airbus lists the A320neo as having a range of 3,400nm in a typical two-class configuration of 165 seats. Bandar Seri Begawan-Melbourne is 3,047nm. 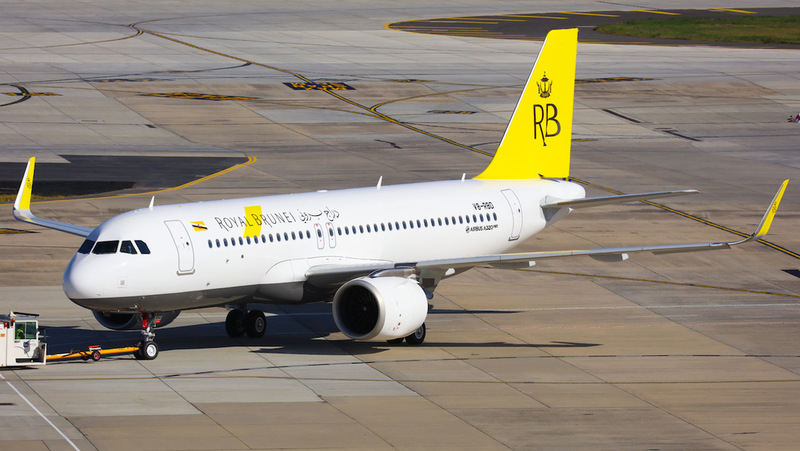 The performance of RBA’s A320neo on the Melbourne-Bandar Seri Begawan could provide the airline valuable insights for any potential Brisbane-Bandar Seri Begawan operation. While there are no immediate plans for RBA to launch flights to Brisbane, which is 2,940nm from Bandar Seri Begawan according to the Great Circle Mapper, the airline has previously talked about the route as one that could come under consideration once it began talking delivery of the A320neo. Currently RBA has six A320neos in its fleet, with one more factory-fresh example to come. The aircraft, which are powered by CFM LEAP-1A engines, are earmarked for both growth and the replacement of its five A320ceos. Further, the airline will have a one-stop product on the competitive Kangaroo Route between Australia and Europe when it begins nonstop Bandar Seri Begawan-London Heathrow service with 787-8s from the end of October. Currently, RBA serves the United Kingdom capital as part of a Bandar Seri Begawan-Dubai-London Heathrow routing. However, from October 28, it will drop the technical stop in Dubai and instead operate to London nonstop from its Bandar Seri Begawan hub. As a result, passengers flying on RB’s daily Melbourne-Bandar Seri Begawan flight will from that date have a one-stop journey to London, rather than the current two-stop routing. Boeing 787s powered by Rolls-Royce Trent 1000 engines have been subject to a European Aviation Safety Agency (EASA) airworthiness directive (AD) that calls for more regular checks on the intermediate pressure compressor rotor blades. In response, some airlines have had to park aircraft while waiting for their Trent 1000 Package C engines to be inspected, repaired and/or replaced amid a shortage of replacement engines and demand on maintenance, repair and overhaul (MRO) capacity. Further, some carriers have temporarily leased aircraft as cover while their 787 engines were being inspected. Rolls-Royce said in early August the peak number of aircraft on ground reached about 50 earlier in 2018 and was gradually being reduced as the company ramped up its MRO capacity to cope with the increased inspections. While RBA is the first airline to operate the A320neo to Australia, it is only the second carrier to fly the neo narrowbody to this country. In early July, Philippine Airlines became the first carrier to fly a A320neo family aircraft to Australia, when it commenced four times weekly non-stop flights between Manila and Brisbane with the A321neo. The A321neo replaced the A340-300 that PAL previously used to serve Brisbane. Meanwhile, Air New Zealand is due to receive the first of seven A321neo aircraft on order later in 2018, which will be initially deployed on trans-Tasman and Pacific Islands routes. I’ve always been a huge fan of the Airbus series, having supplied ground support equipment for these aircraft for a number of years. This will have certainly provided huge insight for any potential Brisbane-Bandar, Seri Begawan operations in the near future. This industry is making huge strides in terms of airline proficiency between Europe and Australasia. Still a long way to go I reckon. used to travel RB brisbane to LHR, then they dropped brisbane. just to expensive flying to melb and stay over, please bring back brissie. croppo. Be curious to see if RBA bring the B787 back to Rockhampton again this year for the Singapore military charters like last year operating alongside SQ B777’s and the odd QF A330? Yes the Airbus is the way to go. I can’t believe tigerair are swapping into old 737’s over these next gen aircraft! Airbus NEO is definitely a LCC machine!